Over time, lines and wrinkles develop which can make you look older and even appear sad. Many things cause wrinkles, like smoking, sun exposure, facial expressions, and natural changes in your skin with age. Production of natural oils decreases, making your skin drier and appear more wrinkled. Collagen and Elastin diminish, so your skin thins and becomes less elastic. Sun damage and hormonal changes can cause blotchiness and uneven skin color. Even at younger ages, visible blood vessels, previous acne, chicken pox, and scars can leave unattractive blemishes on the skin. Skin rejuvenation can resurface your skin and improve the texture, clarity and overall appearance of your complexion. Pigmentation: Freckles, sunspots, melasma, or other dark patches of skin result mainly from sun exposure. Vascular conditions: Small blood vessels can be visible on the surface of the skin, vascular lesions can appear as tiny blood filled blisters, or there can be a constant flush of redness to certain areas of the face. Loss of skin tone: Weakening of the supportive skin structure (collagen and elastin fibers) result in a loss of skin firmness or the development of cellulite. Excess Hair: Problem areas of hair growth can be targeted, and repeated laser treatments can be used to lessen hair growth so shaving becomes less frequent or even unnecessary. During the skin resurfacing procedure, laser energy or a liquid peeling agent is used to remove layers of damaged skin to leave the treated area smoother. This procedure is performed on an outpatient basis and uses local anesthesia to help minimize discomfort if needed. The entire procedure can take anywhere from 30 minute to two hours depending on the size and condition of the treated area. Sometimes more than one session is required to achieve the desired result. Stronger lasers or peels penetrate deeper in the skin, as does dermabrasion. 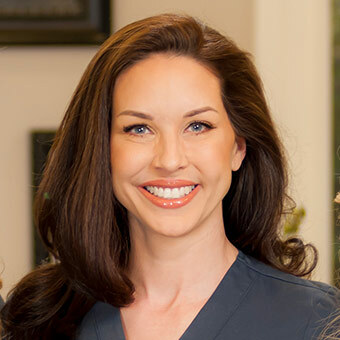 Dermabrasion involves using a rotating instrument to polish away the top layer of skin so that when it heals, it is refreshed and rejuvenated. These procedures are more invasive and require local anesthetic and sometimes sedation, but usually require only one session. After your skin resurfacing procedure, you may experience mild swelling and discomfort for a few days. These symptoms can be controlled with ice packs and prescription pain medication. You will also experience redness that gradually diminishes as the skin heals. While most patients can return to work and other normal activities after a few days, redness may persist for several weeks, and some patients might experience peeling. With deeper the treatments, you will get a more dramatic result, but you will have a longer recovery. The results of laser skin resurfacing may take months to fully appear, after all signs of redness have diminished. Although the results are long lasting, they are not permanent. The treatment will not stop the normal aging process, but it will reset the clock, and skin will appear younger and smoother. Although skin resurfacing is considered very safe for most patients, and complications are rare, there are risks associated with any procedure. The chance of each of these adverse reactions depends on which treatment is used, your skin coloration, and your medical history. During a consultation, I will get to know you and learn about the amount of improvement you want and the length of recovery that is acceptable to you. After we specifically review the chances of these complications, I can tell you which treatment is best for you. Scarring - Some scars cannot be improved, and the treatment itself can rarely cause scarring. Skin pigment changes – Dark or light areas are possible after treatment, and the risk depends on your skin coloration and which treatment is used. Abnormal healing – For some patients, the skin may remain red for a prolonged period of time or there may be areas of peeling and crusting that lag behind other areas that have already healed. If you are interested in learning more about skin rejuvenation, please come talk with me in the office so we can discuss what may work best for you.